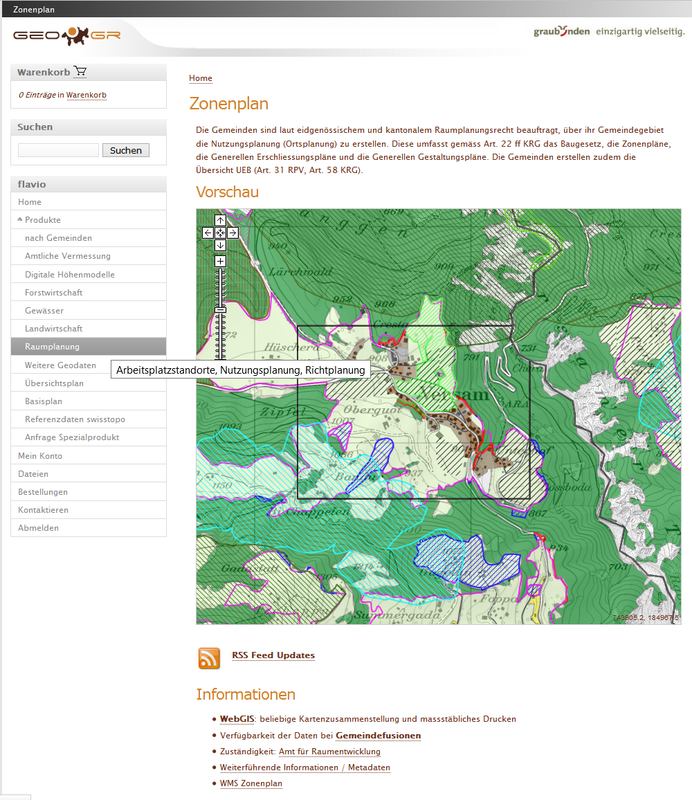 GeoGR is a corporation with the aim to provide and disseminate geographic information services to the economy of the Grisons. Using the Geodata Shop, over 100 data products can be purchased online 7 days a week, 24 hours a day. Purchased? Yes, but for free - the Grisons follows an Open Data policy, which is simply great! For more details on GeoGR see the Presentation held at the 25 years TYDAC event (German only). The canton of Grisons has shown quite a bit of courage with the decision to outsource the distribution of cantonal spatial data to a private company. 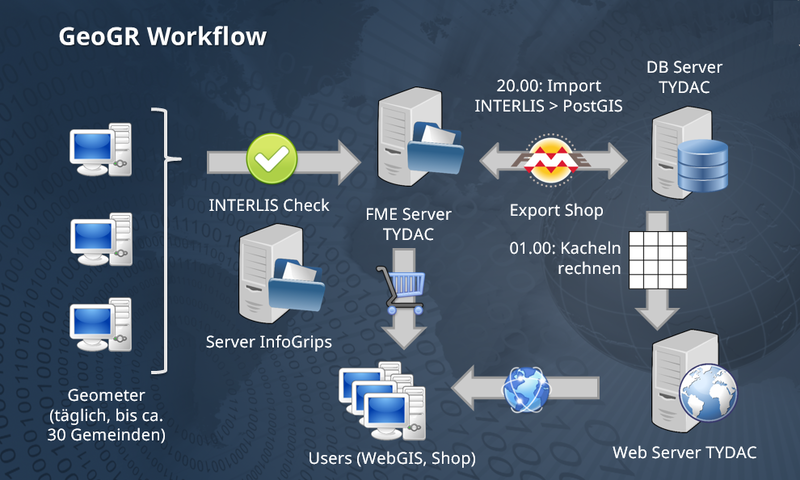 The WebGIS solution TYDAC implemented, not only met GeoGR's expectations, it showed that the decision to trust private intiative was the right one. With the technical implementation, TYDAC sets with every release new standards in the industry. Using the Shop, the data can be downloaded in up to six formats - for free! Others such as ground water information, streets, hiking trails, endangered areas etc. The terms for swisstopo data are such (unfortunately, not for free as the rest), that their data can only be ordered using special accounts. Users can as well order special products that are not available online. Such orders are processed offline by the responsible department of the canton and uploaded to the shopping cart of the user. In 2015, over 10'000 products have been ordered, with a data volume of 132GB. 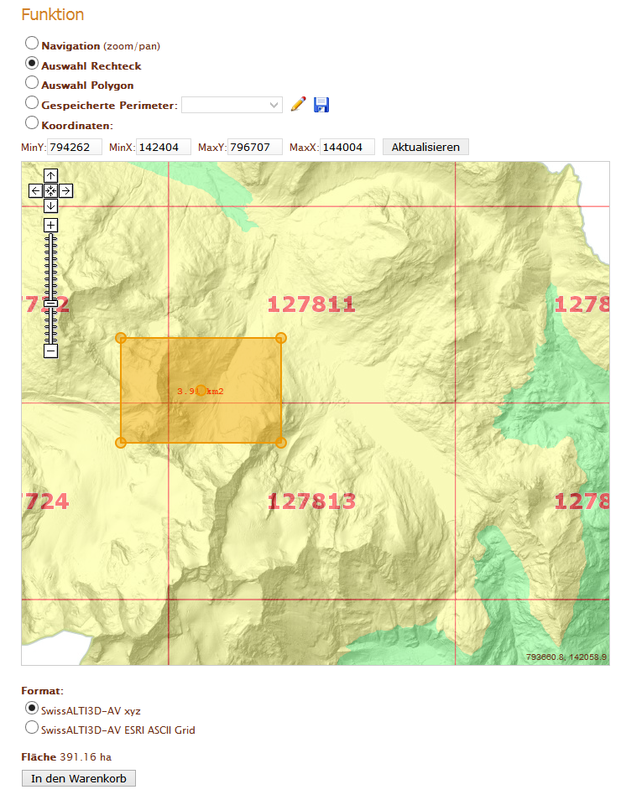 Using the Web GIS 50'000 Plots have been created. In total there are 4'000 registered users.